These guys were the Bwin part of Bwin.Party Digital Entertainment; the mega online gambling company resulting from the 2011 merger of Party Gaming and Bwin. Bwin.Party was then acquired by the GVC Holdings in early 2016. GVC are a FTSE 250 member that now owns a number of well known online gambling brands including Bwin, PartyCasino, Sportingbet, and PartyPoker. If you don’t know the brand Bwin, you don’t watch football. Their marketing strategy is a simple one. Find the biggest football clubs in the biggest leagues in the Europe and get the Bwin logo on their jerseys. They are major sponsors of Real Madrid in Spain, EPL’s Manchester United, Juventus in Italy, FC Bayern Munich in the Bundesliga and Olympique de Marseille in France. As you’d expect from such a big investment in football sponsorship, online sports betting is their core business. 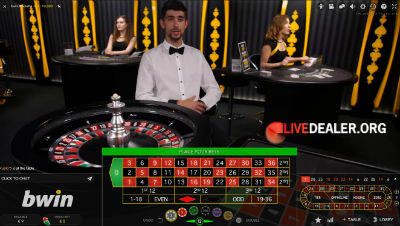 But they do also offer online casino games including a live casino powered by Evolution Gaming. Their casino is licensed and regulated by the Gibraltar Gambling Commission as well as the UK Gambling Commission (for UK customers) and is eCogra certified. Only players logged in at Bwin can access these tables, unlike tables on the general studio floor. Players logged on at Bwin can also access tables from the Clubhouse (see below tab) making for quite an extensive private table range. The old green and red (VIP) baccarat tables have now been replaced by Evolution’s new gold baccarat tables, offering quite a bit of deal variation (regular deal, speed deal, player controlled squeeze, dealer controlled squeeze). For all the gold tables, the deal is from an 8 deck shoe and standard Punto Banco Baccarat bets and payouts apply (Banker 0.95:1, Player 1:1, Tie 8:1). They also offer Evolution’s recently added No Commission Baccarat table. VIP’s can also try the Salon Privé Baccarat table. Massive selection of live blackjack tables to choose from at Bwin. Blackjack house rules identical for all. 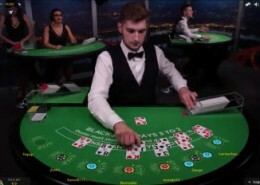 7 seat blackjack dealt from an 8 deck shoe. Side bets are offered and you can bet behind if you like. 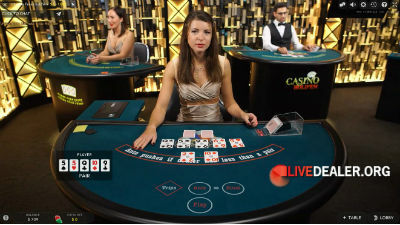 Bwin have a a large range of live roulette tables for their players. For all, standard roulette bets and payouts apply. 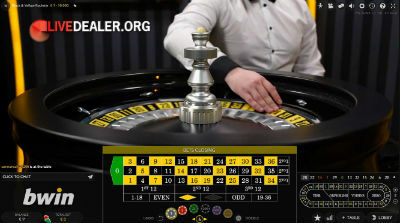 For something a little different, you can also try Double Ball Roulette at Bwin. 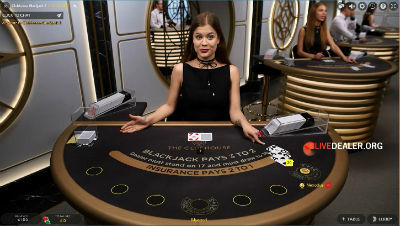 The Club House is a substantial table area installation in Evolution’s Riga studios, launched in June 2017 and shared by Bwin and Party Casino. 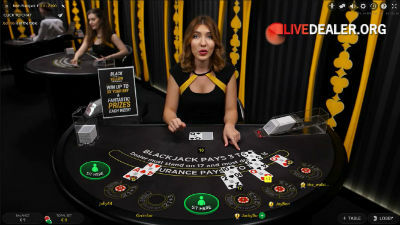 It offers an additional 11 live blackjack tables and a roulette table, bringing the number of blackjack tables available to Bwin players to over 50. Live Dragon Tiger is available in a couple of forms at Bwin. 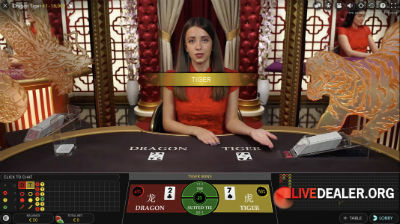 The Dragon Tiger table (pictured), or the Football Studio table. Rules are the same for both. A single card dealt to 2 betting positions, highest wins and pays even money. You can read more about Evolution Dragon Tiger here. 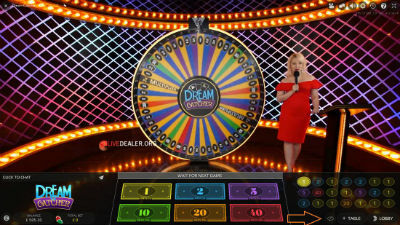 The big money wheel game that is apparently quite popular with players. Can’t go too far wrong with Evolution games. Big exclusive area too.